From the crumbling remains of the former Cuent castle arises the fabled Crimson Evil Dragon! 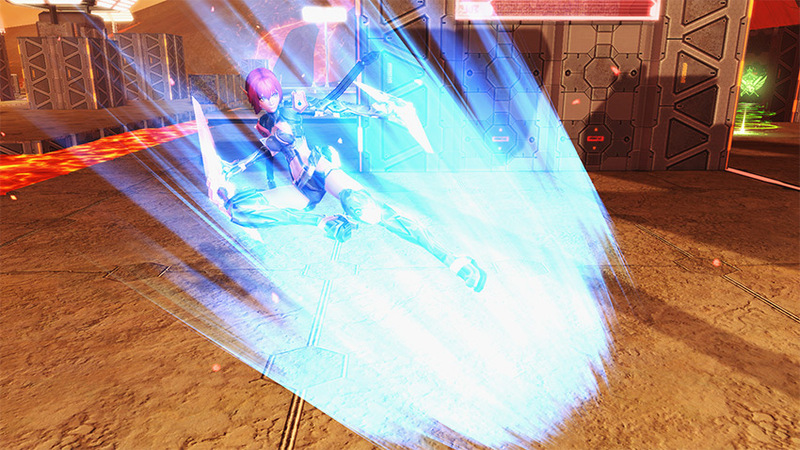 Combine your might with Alisa’s powers and seal the threat once more in the [Crimson Castle Crusher] Emergency Quest. Cross the bridge, teeming with Demons, and head towards the castle gates for a showdown with the Erythron Dragon. Wield the Laconium Sword entrusted to you by Alisa and shred the scales from its body. 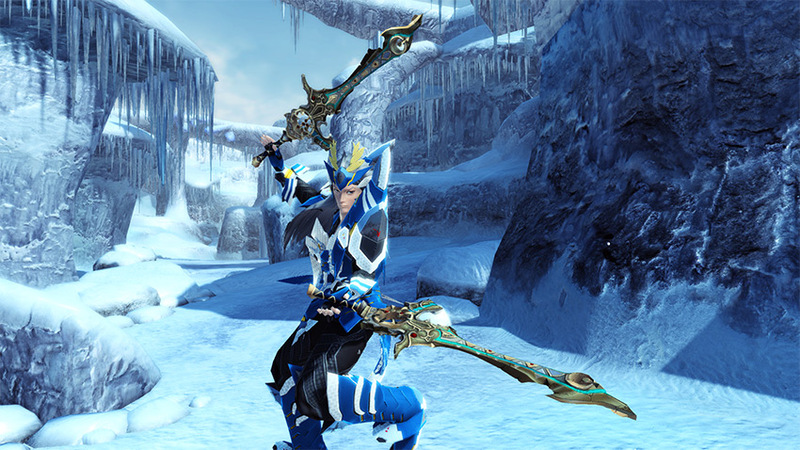 The Laconium Sword is a special weapon that is only available within this quest. 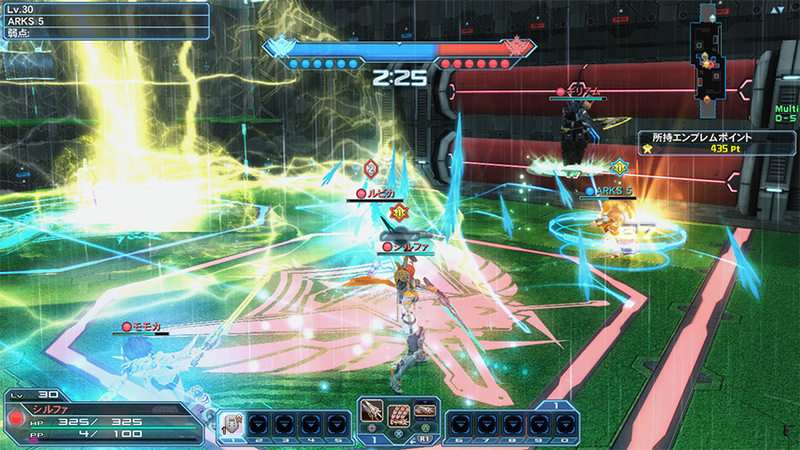 Multiple instances of this sword & shield will appear on the field, accessible through a simple interaction. 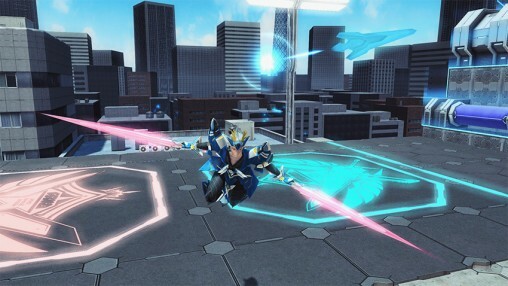 A glowing blue crest will become visible upon the dragon’s body. 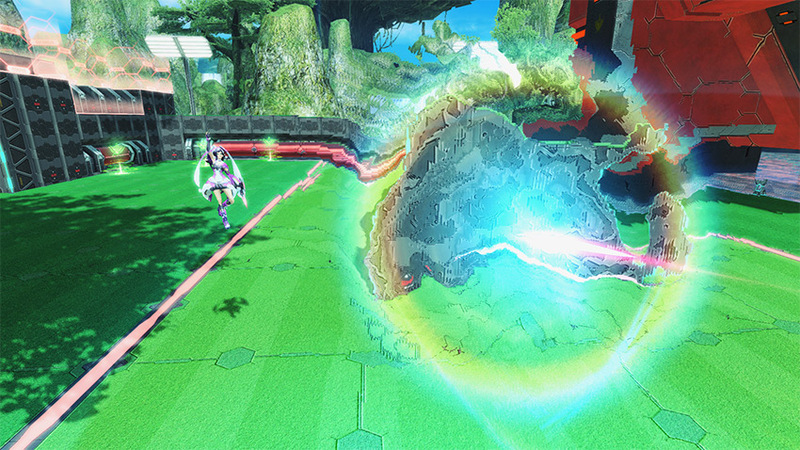 Charge and unleash the Buster Divide PA on this location to weaken that spot. This quest occurs during pre-scheduled times only and can be cleared once per occurrence on each ship. 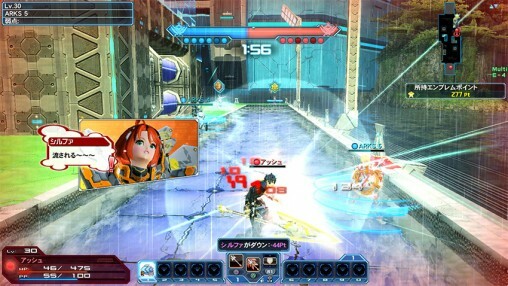 To access the Extra Hard difficulty, your character’s main and sub class must be level 75 or higher. Four new ★14 weapons can drop from the defeated Erythron Dragon. Slaying the dragon yields the chance to receive ★13 weapons that support S-Class Abilities. These weapons, referred as the [Val Series], are initially in an impaired state. 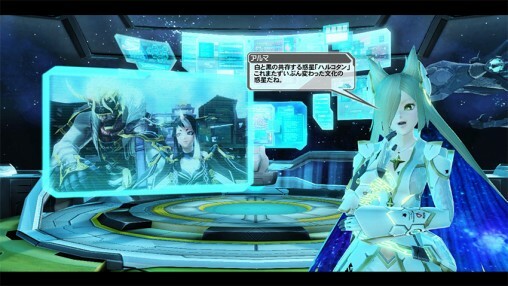 However, they can be repaired into their true ★14 [Atra] forms by bringing the weapons to Zieg. This conversion process requires several valuable crafting materials, along with a new item known as [Time Reversal Stone Chronos]. One of said stone can be acquired through a certain Title reward. To keep things fresh, the Battle Arena continues its tradition of rotating the selection of weapon types available. 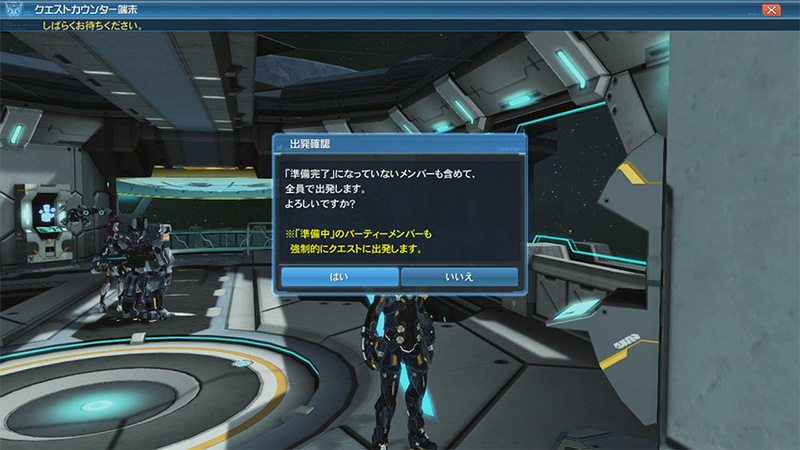 This time around, Bullet Bows, Rods, and Jet Boots will be replaced by Twin Daggers, Dual Blades, and Talises. Twin Daggers have access to the [Symphonic Drive] PA. 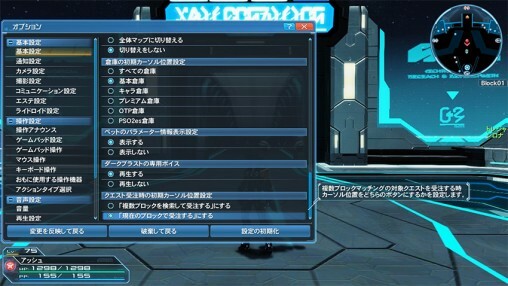 In addition, their [Step] and [Step Attack] abilities are unparalleled in comparison to the other weapons. Dual Blades are equipped with the [Immortal Dove] PA. 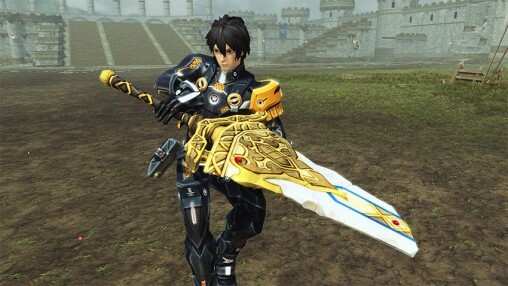 This weapon type can also attack from afar due to its unique [Photon Blade] ability. Talises can be thrown, allowing the casting of Na Grants at a distance. You’ll no longer obtain the same Weapon Type you’re equipped with. The Battle Arena welcomes a new field! While in the Forest, this version of the map incorporates new gimmicks, such as lightning strikes and flowing streams. The stage’s topography has been altered as well, offering other battle strategies. 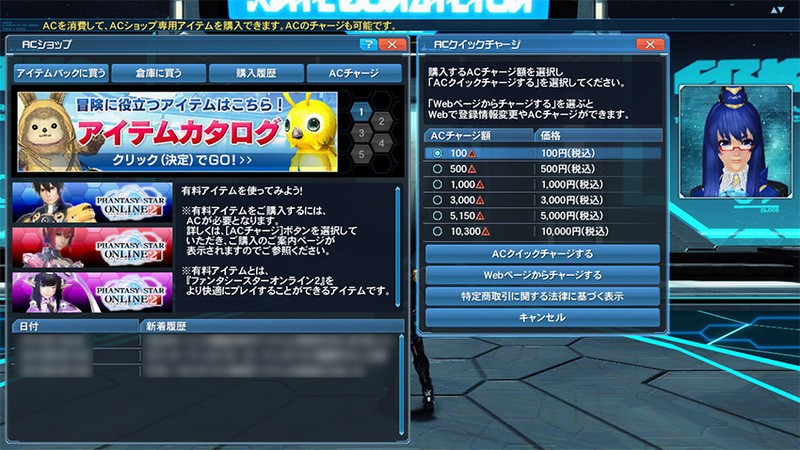 The sale of certain items in the Battle Coin Shop will cease and a new Kabuki themed set will take their place. Some ★12 Units and three new weapon camos are expected to appear among the lineup. S-Class Abilities are a special class of abilities with effects similar to Potentials. S-Class Abilities are divided into several types, such as (S1), (S2), and (S3), and can only be added to weapons which have a slot that supports that type. 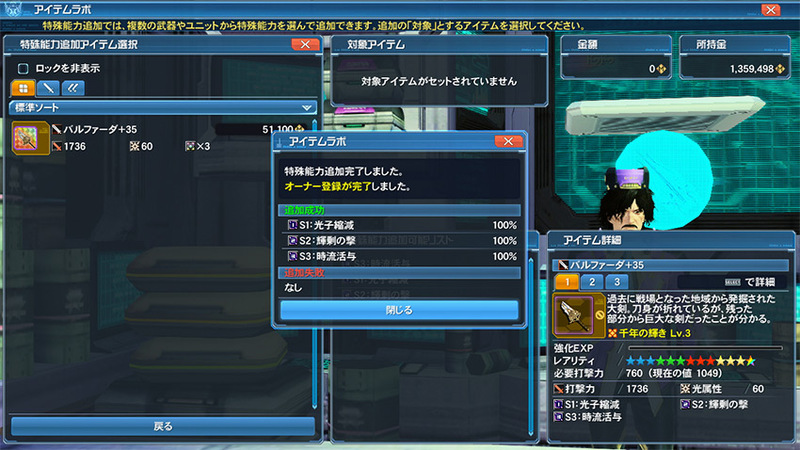 For example, if a weapon has a slot that supports (S1) types, then you can add an (S1) type S-Class Ability. If a weapon supports (S1) and (S2) type slots, then you can add a (S1) type and a (S2) type S-Class Ability. You don’t necessarily have to fill in a weapon with S-Class abilities even if a weapon has slots that support them. For example, you could choose to forego S-Class abilities and add only regular special abilities to the 8 available slots. Choose the default cursor placement between Multi-block or Current Block Matching with a new setting in the Options menu. 100 AC and 500 AC options will be added to the AC Quick Charge selection, ideal for times when you’re just barely short on funds for a desired item. So long as all party members are present in the Camp Ship or Field, you can forcibly start a multi-block matched quest while remaining united. The Omnibus will be expanded to include the events of Episode 3. Take a retrospective journey through your memories of Harukotan. Finishing off December’s balance adjustments are buffs for Gunners, Bouncers, and especially Summoners. Revisit the classics with the cosmetic items of Phantasy Star series legends Rolf (Eusis), Nei, Rhys (Kein), and Rika (Fal)! New Japanese style layered wear designed for Hitsugi, Io, and Hagith will be included as well. 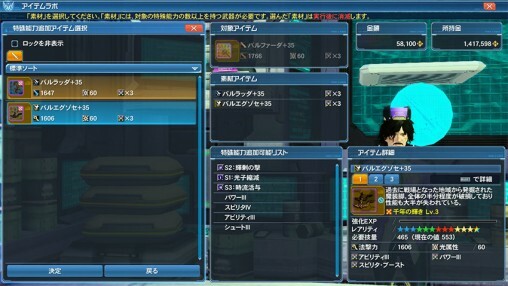 So if the time reversal stone is a title reward, that means no rod and talis for FO. Just one or the other?